Tis the season to get your sparkle on – Christmas is the time of year when apparently there’s no such thing as too much. Full length sequin dress? Sure, why not – it’s Christmas?! I remember when I was younger I’d always be baffled at this time of year when magazines were filled with dresses for Christmas parties, as my Christmas was mostly happily spent in my PJs… but now I get it and it’s fun! 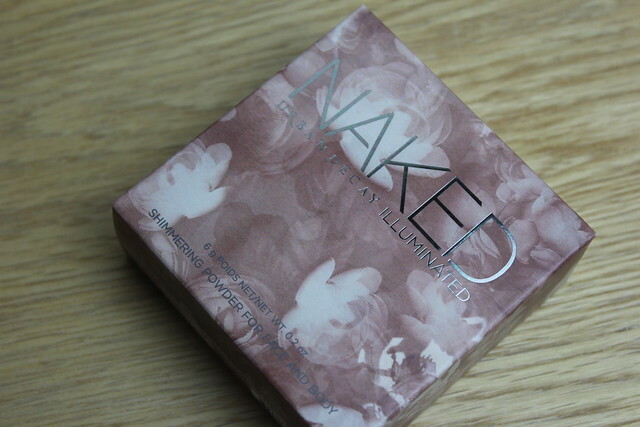 So if you really want to dial up the sparkle/shimmer then this NAKED Illuminated powder is for you – it’s from the much-loved Urban Decay Naked family (ah Naked Palette 3 how do I love thee….) 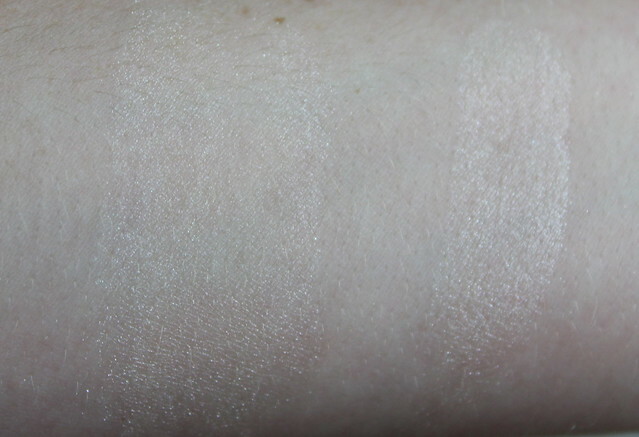 but offers an all over shimmer/glow thanks to the dome of champagne coloured baked powder. On first look, I thought this was a beauty but on using it I decided that personally it’s not for me. I don’t love to over do the glitter and this one I found whilst is shimmery, one small swipe and there’s shimmer/glitter/sparkle EVERYWHERE. Sure, it’s fine glitter, so not like you dunked your head in a pot of arts and crafts glitter or anything, but it does seem to get everywhere – and a lack of control of the shimmer does put me off. I think this would be best used as a body shimmer to add a sheen to skin rather than face where it could be a bit too ‘Twilight’ shimmer. 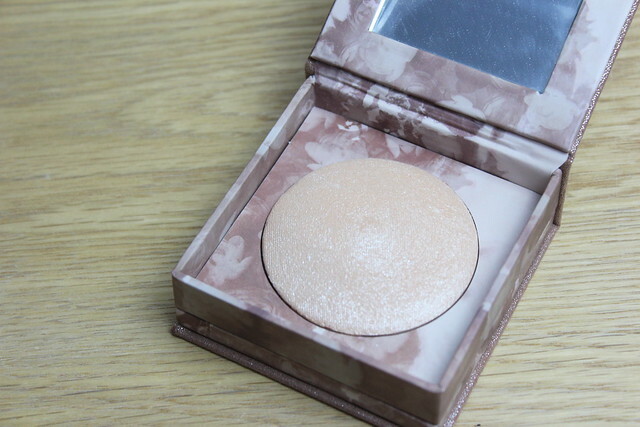 But the big pan and lots of glow could work for body. But for face, it’s just not for me. 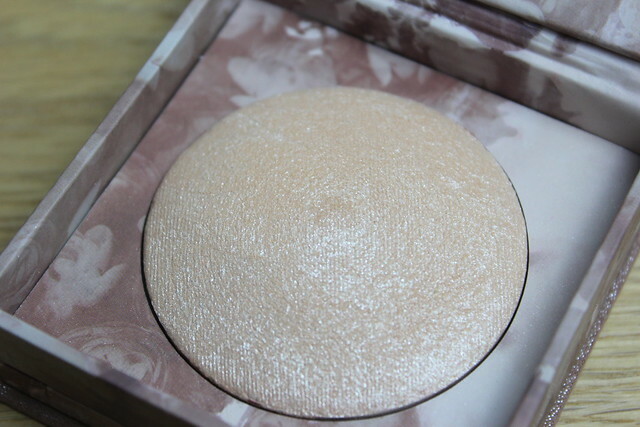 But if you like shimmer/glitter and aren’t afraid of a bit of sparkle then you might love this! Really like the colour to this, I think I will get some and add some fix+ to make it ‘stick’ where I want it. 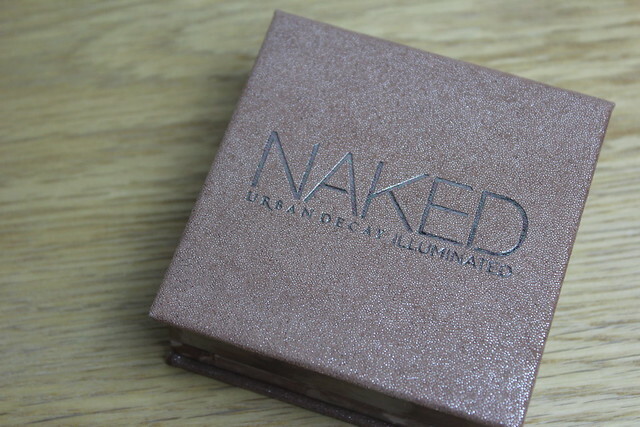 Definitely think some people pull off shimmer, and this is great as it’s quite fine – I like to keep the shimmer in limited places (eyes etc) as my makeup skills aren’t good enough to go all over and look good!